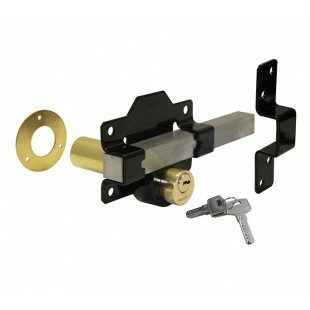 Our long throw gate lock is the perfect choice for those seeking heavy duty garden gate locks. 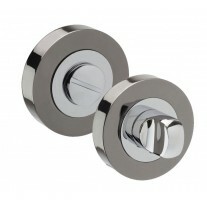 Featuring a 50mm protrusion from the back of the bolt casing which is suitable for gates up to 50mm thick. This product features a six-pin lock for optimum security and grade 316 stainless steel lock bolt for a hardy and weather-resistant finish. 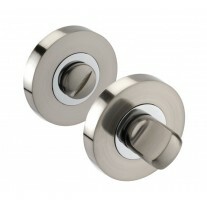 Its double locking cylinder enables this item to be locked and unlocked using a key from either side of your gate. 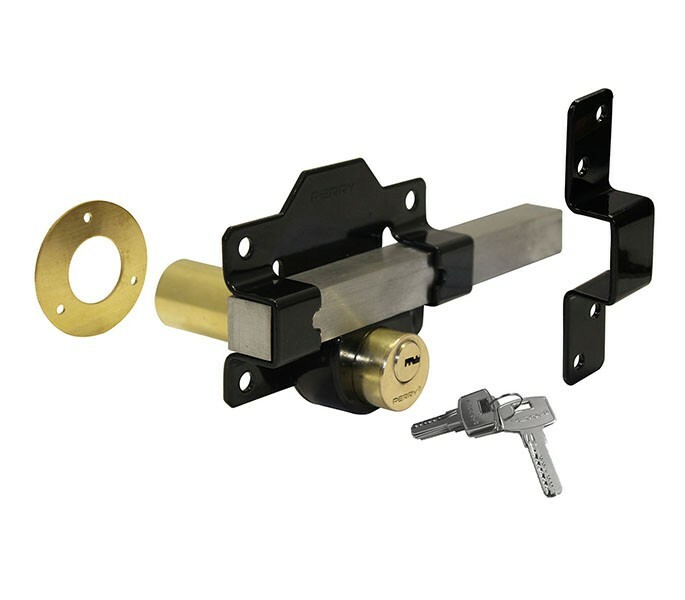 Our long throw gate lock is sold singly with a brass escutcheon, black keep, five keys and the stainless steel wood screws required to fit this product to your gate. 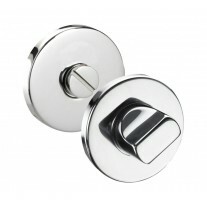 The bolt itself is encased in a black fixing plate which has pre-drilled fixing holes for ease of installation.